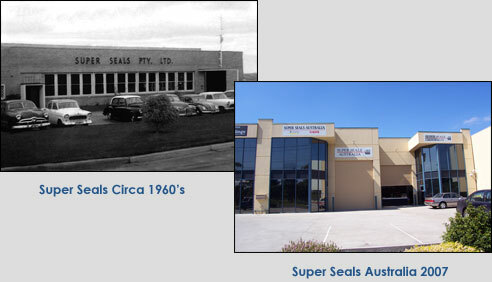 Super Seals Australia Pty Ltd is a leading supplier of oil seals, mechanical face seals, plain bearings, wear sleeves and associated products to the mining, industrial and automotive markets in Australia, New Zealand and South East Asia. Goetze are a world leading German manufacturer of mechanical face seals to OEM customers in Europe and the USA. Glycodur are a world leading German manufacturer of plain bearings to OEM customers in Europe. National are a world leading US manufacturer of oil seals and Redisleeves to OEM customers in the US. NOK, possibly the highest quality rotary shaft seal manufacturer in the world, has various manufacturing facilities throughout Asia, and is part of the Freudenberg-NOK group. They also manufacture and distribute under the Freudenberg, CFW and Simrit brands in Europe. All of our premium suppliers manufacture high quality precision products, and they also design and supply to OEM’s around the world in their respective mining, industrial and automotive markets. Super Seals Australia stock a comprehensive range of these products at our warehouse in Oakleigh South, Melbourne, Australia. With over 3,000 different seal sizes stocked at any time, we ensure that our distributors and customers have ready access to the seals they need.